These cars give us a glimpse into the future. International auto shows tend to be where automakers unleash their most wild and futuristic concept cars. Interestingly, the 2018 Detroit Auto Show wasn't one of the most outlandish shows in terms of concept cars. Sometimes we get to see wild concept sports cars or mid-engined supercars. This year's Detroit show was clearly more grounded in reality because three of the concepts on our list are SUVs and the other two are sedans. This means that these concepts from the Motor City may actually end up reaching production in the future. The first concept on our list in the Infiniti Q Inspiration. Most automakers decided to focus on SUVs at Detroit, but . The Q Inspiration is clearly far from reaching production, considering that it has rear suicide doors, enormous wheels, and a futuristic interior. 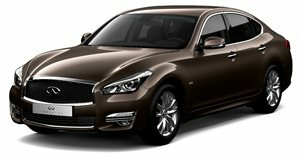 While it likely won't reach production exactly the way we see it now, we could see some design elements from this concept on a next generation midsize sedan when Infiniti finally replaces the Q70. Or, perhaps, could this preview an all-new flagship? When it comes to concept cars, Detroit 2018 was the year of the crossover. Lexus came out in full force with its LF-1 Limitless SUV Concept. Like the Infiniti sedan, this Lexus SUV seems pretty far away from production. The LF-1 mainly that we could see on a future flagship sedan from Lexus. The Lexus RX is a very nice car, so we would love to see a flagship crossover that sits above it in the lineup. Lexus said that the LF-1 could be powered by a fuel cell, hybrid, plug-in hybrid, gasoline, or even an all-electric drivetrain. Nissan also continued the theme of SUV concepts at Detroit, but went in a different direction. The Xmotion Concept seems more like the type of SUV that belongs driving through Death Valley than a mall parking lot. 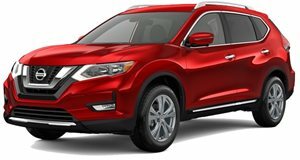 For the record, Nissan hasn't built an since it discontinued the Xterra. The Xmotion looks very far from production, unfortunately, but this could end up turning into a replacement for the Xterra SUV. 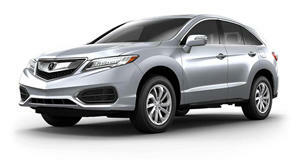 Unlike the other concept cars on this list, the Acura RDX Prototype looks like it tomorrow with minimal changes. This RDX concept previews a new 2.0-liter turbocharged four-cylinder engine that is mated to a 10-speed automatic transmission. This RDX also wears the new Acura corporate grill and will use a new infotainment system with a Lexus-style touchpad controller. Acura also hinted at a new turbocharged V6 engine that will soon join the lineup alongside new performance-oriented Type S models. The final car on our list was actually shown off . We still had to include the Honda Insight Prototype here because we think that it could dominate the hybrid market. 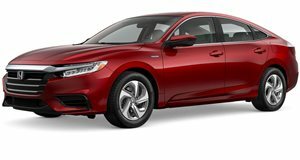 The new Insight ditched the odd-looking hatchback body style that the Toyota Prius still uses in favor of the more conventional sedan. We are in favor of a hybrid that can get over 50 mpg that doesn't look as offensively hideous as the Prius. The Kia Niro may now have some real competition in our made-up, stylish Prius alternative segment. Был найден мной интересный блог , он рассказывает про ковер классический.